Images and photographs shown here in this photogallery may be disturbing and are intended for doctors & other medical personnel only. All images and photographs are copyright of their respective owners and/or www.emergencymedicine.in and may not be reproduced on any other website or printed material without explicit permission. 25 year male with history of car - tree collison accident. Left femur fracture. Bowel sounds heard in the left axillary and infra axillary region. All vitals including saturation in room air were normal. 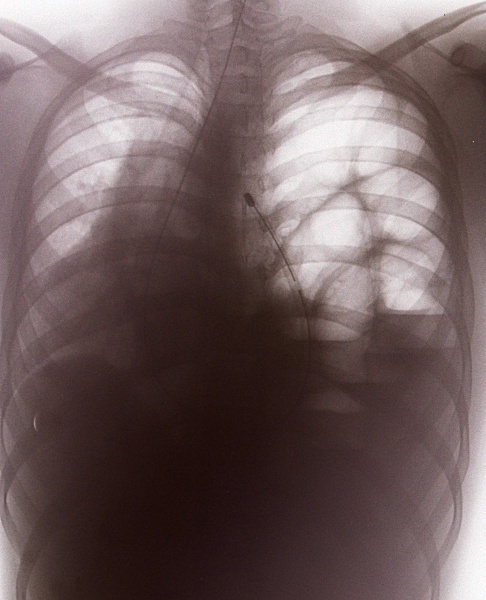 Diagnosed as diaphragmatic rupture and operated. During surgery it was found to be congenital! 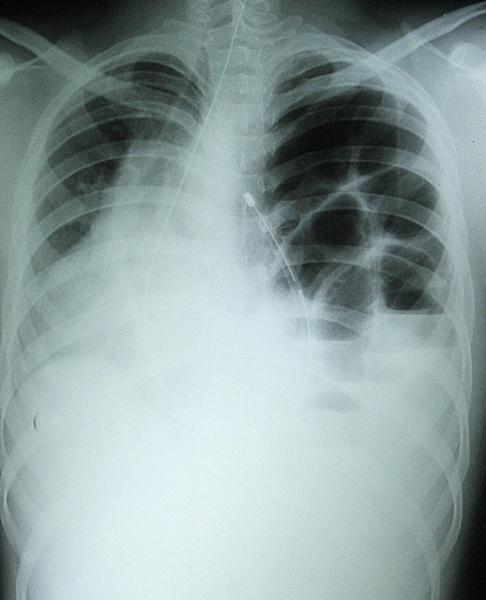 POINTS : Ryle's tube in the chest, bowels with fluid levels in left hemithorax and mediastinal shift to right. Airway management and Cervical spine protection is of supreme importance in trauma victims. Emergency physician's best friend. Pulse. Respiratory rate. Oxygen saturation. Blood pressure. Truck runover accident. Devastating injuries. Victim not salvageble. CT scan. Cervical spine injury. Fracture of Atlas. Crush injury to the foot. Pain management in the emergency department is one of the top priorities. Morphine. Morphine. Morphine.